Robust Food And Beverage Containers | Personal Protection, Medical And Survival Equipment | Dometic S.à R.l. These containers show an outstanding insulation performance even in the most rigorous climatic conditions. All containers are portable and stackable. The inner stainless steel liner or pans provide a much hygienic solution and will not alter the original flavor of the food or beverage. 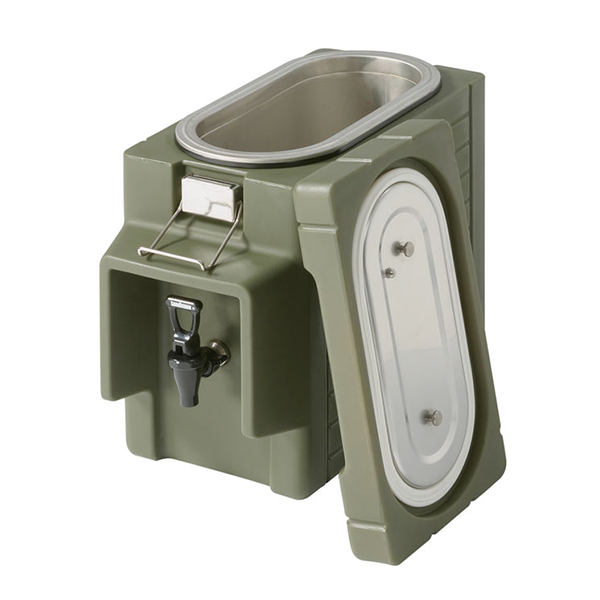 The GB-3 model (11L / 3gal) is the most technologically advanced insulated beverage dispensing container available on the market. It is now also available in 18L (5gal) and 23L (6gal) versions. Its stainless steel inner liner ensures perfect hygiene. 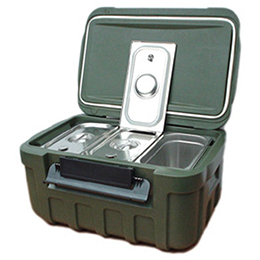 The GB-7 and GB-7 Compact models are ideal Gastronorm-compatible insulated food carriers. These models can be supplied with stainless steel GN containers and lids. 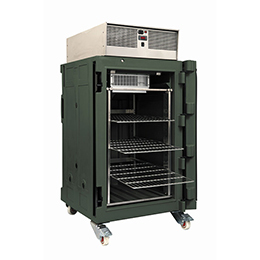 The GB-24 model is a 100L, front opening, insulated container to transport Gastronorm containers, and is equipped with two integrated carrying handles. It offers a superior insulation performance. Dometic also supplies the GB-24 PLUS model, which has a thermoelectrical system for an increased hold over time of cold or hot food preparations.